An app or script to watch folder and display new images in full screen? I'm teaching a photography class and would like to use a cheap setup to display photos taken by the students in real time. I have a macbook pro and an iphone. I also have an eye-fi card but it's an old one and doesn't work with ad-hoc networks so that's out of the question. I'll likely be using RemoteSnap on the iphone connected to an ad-hoc wi-fi created by the mac. With this setup, the photo jpgs end up in a folder. How can I haev every new photo in this folder to appear on the screen (in full screen)? Save the folder action and try it out! Note: The script might have some unnecessary elements in it, but while trying to tweak it it often stopped working. Feel free to try on your own! 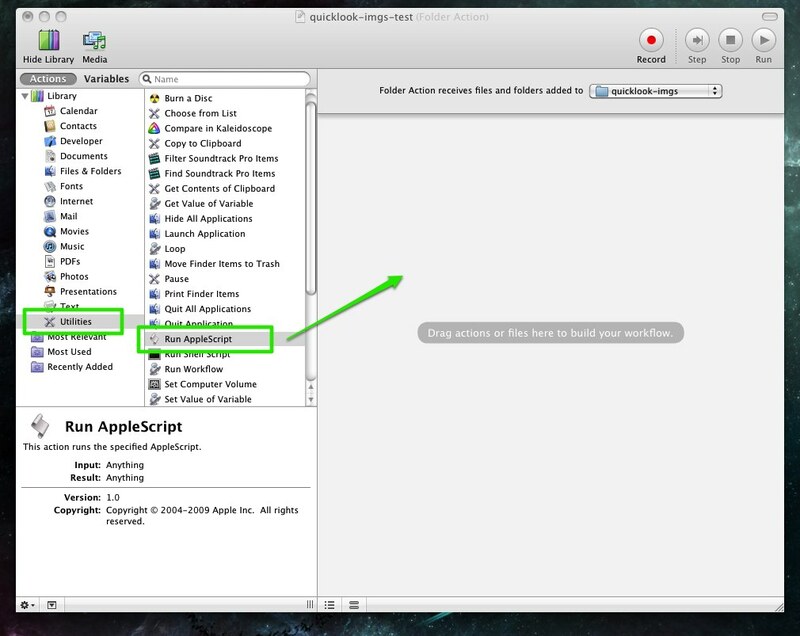 The other simpler alternative is to accept that you are already in fullscreen quicklook mode, and use the following Applescript in the above Automator action to simply select the newest file. If you are already within a fullscreen quicklook, then effectively you are showing the newest file screen. It is akin to pressing "up" or "down" while in fullscreen quicklook on an already populated directory. Take your first picture, enter fullscreen quicklook mode, take successive pictures. Apparently there's no good (free) way of doing this. However, I wrote a Quartz Composer Screen Saver to auto-update and rotate over the last X number of images. Not the answer you're looking for? Browse other questions tagged graphics script tethering . App or script to monitor/log processes starting and stopping? Is there a Mac app that will open all images within a folder, regardless of the folder depth?